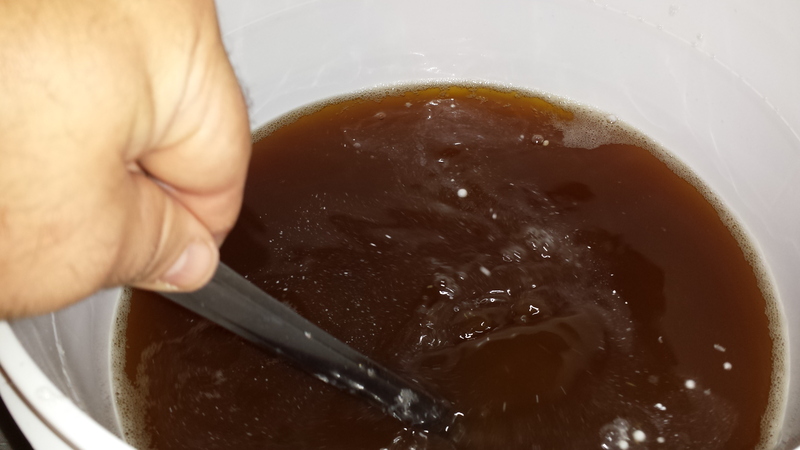 Here is a quick wiki for how to ferment your own delicious hard cider at home. No cooking is necessary. This method offers a few simple add-ins to help you make good cider the first time. Step 1: Find a source for good quality apple cider. The best places to find good apple cider include farmers markets, orchards, cider mills, and roadside farm stands. The best cider for fermenting into hard cider is unpasteurized and not purchased from a supermarket. Most supermarket cider is watered down and has undergone heat treatment. Sometimes it even contains preservatives and other unwanted additives. You want the good stuff from a reliable source that still has all of the original sugar content found in good *fresh* (recently pressed) cider. The later in the season that apples are harvested, the higher the sugar content in the cider — thus to maximize your alcohol content in the finished product, you want to start with the highest level of sugar. Step 2: Obtain a fermenting bucket and a few basic add-ins. Step 3: Prep your bucket. Follow the instructions on the StarSan packaging for the proper ratio of sanitizer to water. Fill your bucket with warm water and add the necessary amount of StarSan. Place your airlock and lid inside the bucket of sanitizer water and allow it to sit for the recommended time. Pour out the sanitizer — it does not require additional rinsing (some suds are normal and will not affect the product). Step 4: Get the bucket filled. If you take your bucket to the cider mill or orchard, some places will fill your container — usually at a discount. 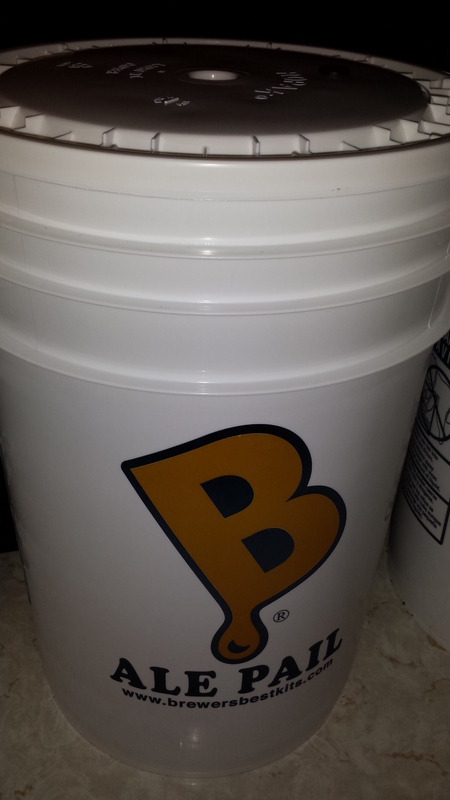 Just bring your sanitized bucket and lid to the mill (try to keep them clean), fill it to the 5 gallon mark (DO NOT fill the bucket to the top — you need several inches of headspace or else you’ll have a mess during fermentation). If you can’t bring the bucket, just buy 5 gallons of cider and bring it home — pour it in the bucket. 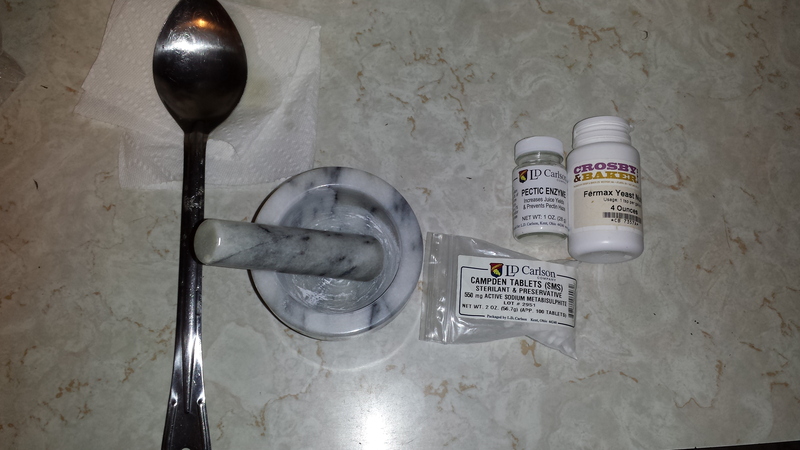 Step 5: Day one – Add Campden Tablets. Your bucket is full. Set it in a place where it can sit for at least 24 hours. Take 5 campden tablets (one per gallon of cider), crush them up into powder, and add them into the cider. 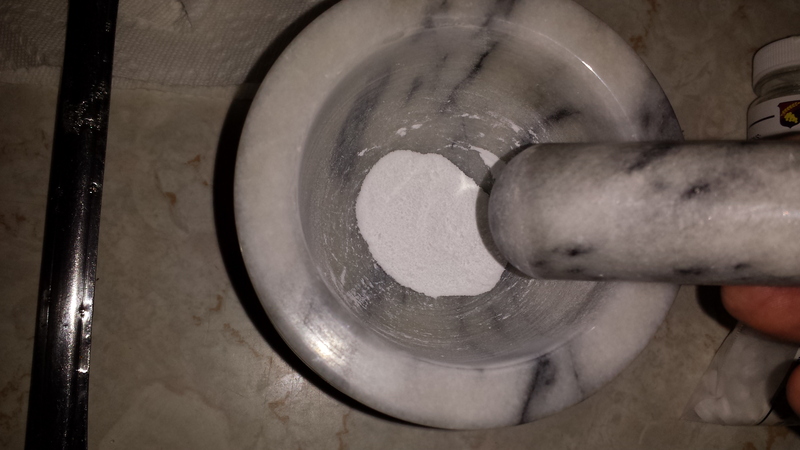 Use a clean metal spoon to gently stir the powder into the cider. Place the lid on gently to keep out dust, and allow to sit for 24 hours undisturbed. When 24 hours have passed, add the amount of pectic enzyme (usually 1/2 tsp per gallon) and yeast nutrient (usually 1 tsp per gallon) to the cider. Wait around one hour. 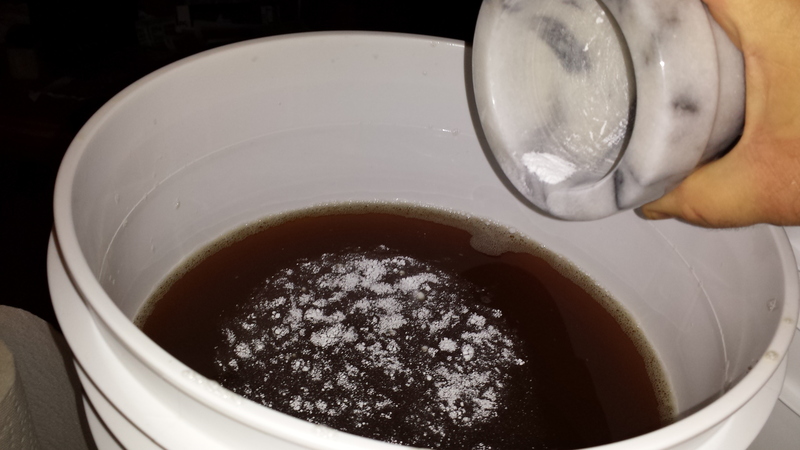 Step 7: Day two – Casting your yeast, away you go! Cut open the package of yeast. If you’re using Safale S04 or any other dry beer yeast, you can usually just sprinkle it evenly on top of the cider. If you’re using a wine yeast or a wet yeast (like Wyeast), follow the package instructions. Place the lid on top of the bucket and make sure it is snapped down. Insert the airlock and fill it to the line with vodka or sanitizer water. Put the bucket in a place where it can sit undisturbed for about a month, and off it goes. Bubbling should begin in around 2 days. 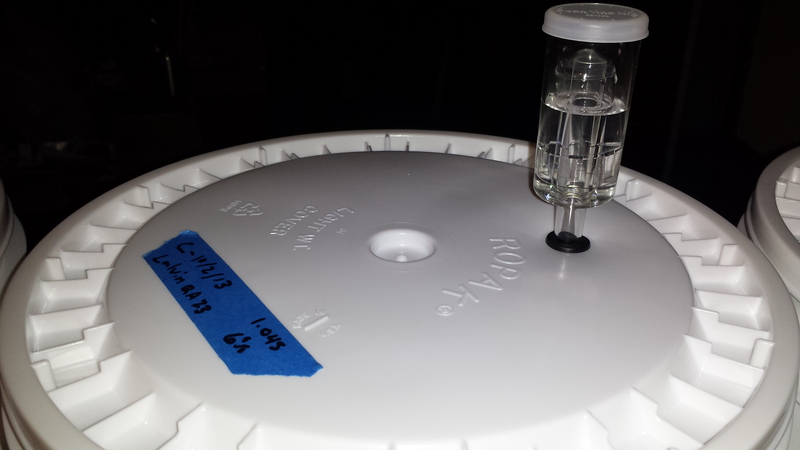 Allow your cider to ferment, checking the airlock occasionally to make sure that it is properly filled. Fermentation may take several weeks; possibly a month. Do not proceed until the cider has absolutely stopped bubbling for at least a week. You can leave the cider in the bucket to clarify or you can transfer it to a “secondary” conditioning vessel (which would require a siphon and a glass carboy). 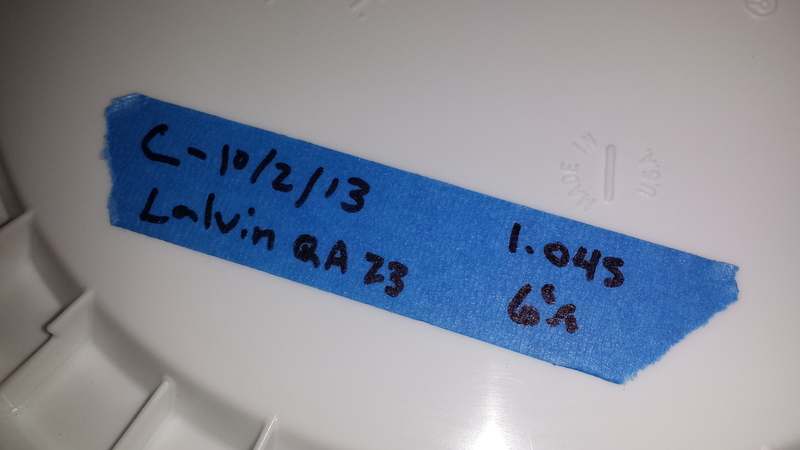 Ask your local brew shop for more advice about secondary conditioning. Ultimately, you want to leave the cider alone for another several weeks past the end of fermentation to allow the suspended matter to drop to the bottom. The end result will be a glassy and opaque coppery liquid. This step is not necessary, but it improves the taste and appearance of your finished product. From this point forward your cider is “still” (isn’t fizzy) but ready to drink. You could just place your hard cider in jars in the fridge or some quick storage method. Alternately, with some additional equipment from your local brew shop, you can bottle your cider and even make it fizzy! Get bottles, a bottle capper, and bottle caps. Clean (wash/sanitize) the bottles (ask your brew shop for the best way). Use sanitizer to sanitize your caps. 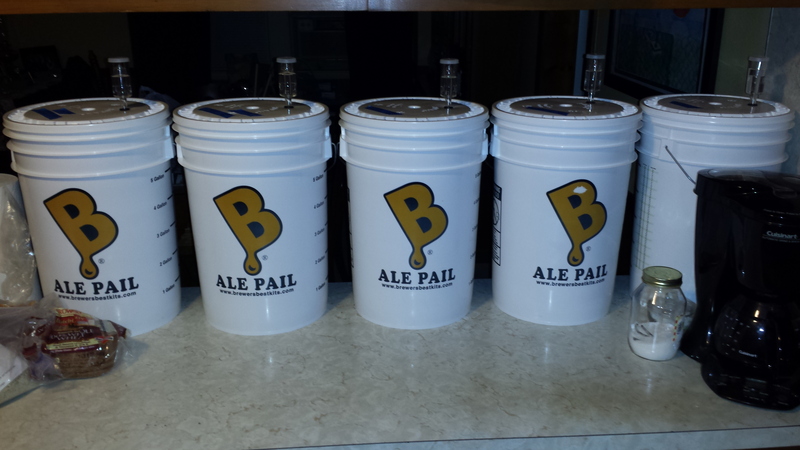 If you can obtain a bottling bucket, siphon your cider into a bottling bucket. Boil 5 oz. of bottling sugar (not table sugar) in two cups of water. Allow to cool, and then add to the cider. Fill and cap your bottles with the cider and allow them to sit at room temp for at least two weeks before drinking.